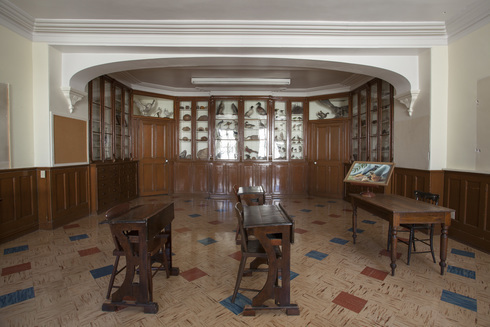 In the 19th and 20th centuries, the reputation of our school was in part due to the wide variety of subjects taught. In addition to history and geography, we provided courses in astronomy, physics, chemistry, advanced mathematics and natural history. These courses, which girls rarely had access to, required specialized equipment such as natural specimens and scientific instruments. We obtained the equipment through gifts, special purchases from traveling salespeople and importers, or from our friends, the priests at the Seminary of Quebec.